Often when women think about labour prep they think about things like pain management, positions, and breathing techniques. One critical thing that can be easily overlooked is fuel! Giving birth is an enormous physical undertaking that will demand endurance and strength. As such, it requires that you prepare as you would for any other event: by fueling your body to succeed. Now, of course you can’t eat throughout the entire labour and birthing process for a number of reasons. In the event of emergency medical intervention for example, general anesthetic requires that you have an empty stomach to avoid the risk of regurgitating food. Secondly, as labour progresses many women simply don’t feel like eating. And lastly, once you have an epidural you aren’t able to eat or drink. Even with any one of these scenarios in mind, it’s still very important to be mindful of your physical needs pre-labour and in early labour. Here are some general tips that will help you stay nutritionally equipped for birth. 1. Fuel up in the final days: Toward the end of your pregnancy, stay vigilant about your eating habits. Make sure you’re getting enough carbohydrates and proteins and rest as much as possible. This will allow your body to store glycogen to provide you with energy throughout labour and to prevent ketosis. 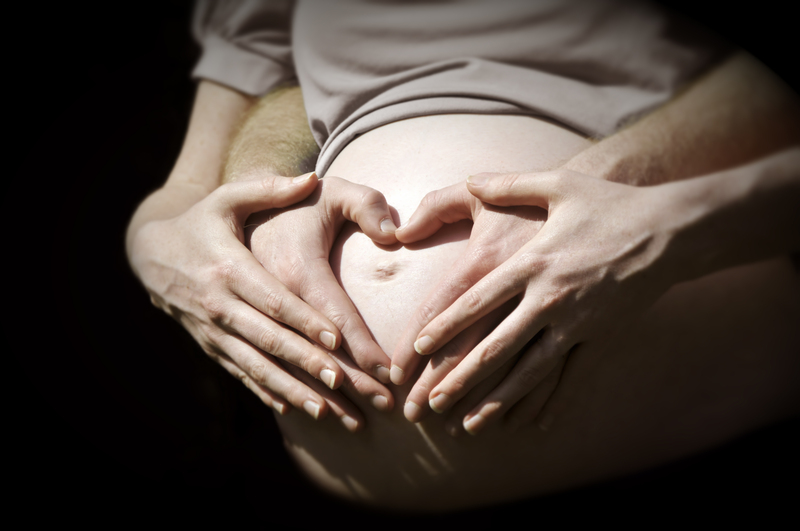 Eat up to store up: Birth is a major event that will require plenty of strength! 2. Safe snacking during labour: In early labour, choose dry carbohydrates for the slow release of energy over the hours to come. If you can add some protein to the mix, do so. Snack suggestions include bananas, dates, yogurt and crackers. Avoid big meals in case of nausea and vomiting during labour. 3. Listen to your body: So much is happening during labour that you might find yourself solely tuned into the heart rate monitor and contractions, forgetting to properly address hunger and thirst. But remember that taking care of yourself is important so that you have the energy to push. Between contractions- especially in the early stages- stop and assess. Are you feeling nourished? Hydrated? Do you have supplies like water and sports drinks nearby? 4. Hydrate. Many women get thirsty during labour and you might find that your delivery room is extremely warm for the baby. Quench your thirst and cool yourself down with plenty of cold water or natural juice. Isotonic beverages are great too, as these will replace your electrolytes and absorb quickly. If you’re not able to eat during a long labour, these sports drinks can help keep your energy up. As the arrival of your baby approaches, you’ll need to modify your diet according to many variables: the length of your labour, the wait time until you hit active labour, and the type of medication you use (if any). Whatever your birth plan, remember to have some fuel on-hand during the final weeks of your pregnancy!